Limited quantity, order as soon as possible. Last edited by QiDi 3D Printer; 05-04-2018 at 01:30 AM. I might take the plunge but I want to know what profile to use in Simplify3D first. Last edited by QiDi 3D Printer; 08-17-2016 at 06:30 AM. I understand that. In the slicer software I need to pick a printer profile to use so the software knows what settings to apply. In Simplify3D we had to use a flashforge dual, I think, to get the QIDI to work until Simplify3D added a profile for the QIDI Tech-1 printer. so, until they add a profile for the new printer we will need to know what printer can be selected in the software as a substitute. But why reduce print volume to 150x50x150 ? You've gone down to one extruder, so could actually have increased the build volume. Thanks for your explain.I understand well. Our engineer has made testing on simplify 3d. Now here is 20:41 ,engineer is off work.Tomorrow I can send you the settings on simplify 3d.We are contacting simplify 3d company to add our new model. I was thinking for the cost it could be a good machine for single use filament for making those little bit smaller parts where you want to keep cranking them out. I would want to add covers to help with ABS printing. In order to meet the demands of different users,we launched this model .It's especially suitable for the family users and students. 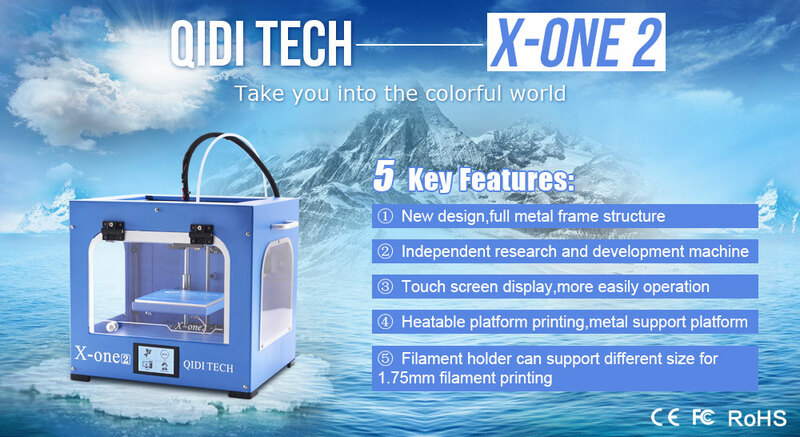 Make Larger printing size 3d printer is really a good suggestion. You are welcome ,tomorrow I will send you the settings.